I know valentines day was ages ago, but I have been really busy with planning our cluster's annual meeting, dealing with 2 sick kids, trying to get things together for our trip to the States in June and look for houses/apartments for the family that is moving here in May. But I wanted to share a quick picture of what Jason got me for Vday. We had been talking about these for a while and so it wasn't totally out of the blue, but a nice surprise. I enjoyed a cup (or two) the other day. A new series of books from Thomas Nelson, Christian Encounters introduces or familiarizes us to legendary figures of our past. From writers, important religious figures, to politicians and more, readers are given a concise history of those who can both influence and enlighten us. 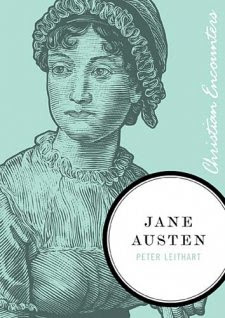 A biography of the writer Jane Austin is one of 5 in the first series released in 2010. As a dearly loved and widely read author, Jane Austin's short life was greatly influenced by her faith. The child of a pastor in England, faith and religion were a large part of her large family. She began writing as a child and was a very prolific writer, if only in letters. She began most of her most famous books early in her life and tweeked them over many, many years. She became discouraged by continued rejection, but after finally being published, experienced great success. If you want a concise biography, this book is suitable. I found it difficult to keep Jane's relationships straight, so many people are referenced. There is an appendix in the back that lists all of the people in her life, both friends and family. It follows her life chronologically although he does jump around some. It is a quick and easy read but may require some referring back to the appendix. I could have lived without some of the quotes, quotations and outside references, but for some, that might be appealing. All in all, if you want to learn more about a famous author with a closer look at how her faith influenced her life, then this is a good choice.